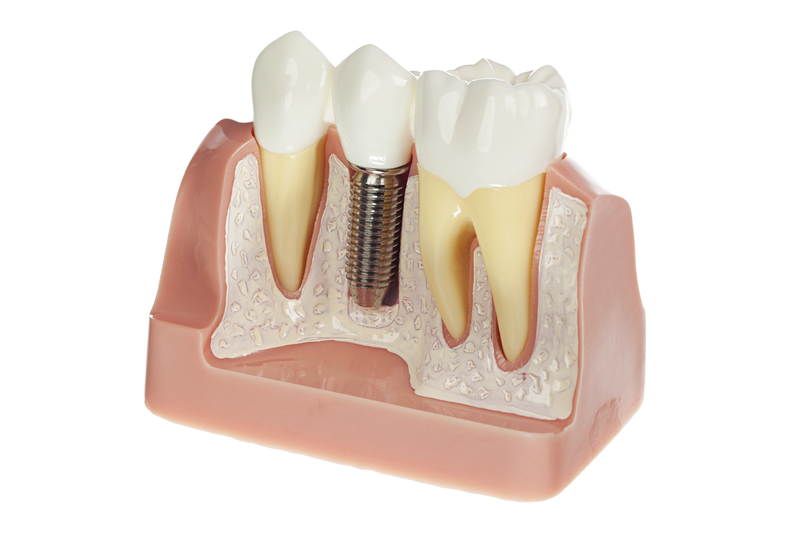 Modern dentistry’s answer to life-like and comfortable teeth replacements is dental implants. Through implant dentistry in Dracut, MA at Amerident Dental, our team of oral health professionals helps patients with missing teeth rejuvenate their smiles, enjoy better dental health, and benefit from the stability and longevity of lasting new teeth. Dental implants replace missing teeth, whether just one or several teeth in your smile, by adding a prosthetic tooth root into bone. This post is then topped with a dental prosthetic that feels just like your own, natural teeth. When teeth are damaged beyond repair and must be removed to avoid causing harm to your overall dental health, our implant dentist can both remove the affected tooth (or teeth) and place your dental implant in the same appointment. With same-day dental implants, our office is able to help patients avoid having a gap in their smile from tooth extraction. You will come into and leave our office with a complete smile through the same-day implant dentistry process. After placement, and over time, your implant post merges with surrounding jaw bone, called osseointegration, to create the ultimate solution to stable support for replacement teeth. While a dental implant can be utilized to correct the loss or extraction of single teeth, implants prove to be truly life-changing for patients struggling with multiple tooth loss or lack of all natural teeth. In these instances, removable dentures or fixed dental bridges are the most commonly recommended treatments. However, these prosthetics are often not comfortable, need to be replaced entirely every few years, and can create secondary health issues for soft tissue or neighboring teeth. Whether you need two dental implants to secure a bridge or overdenture, or a full arch of implants for implant-supported dentures, our dentists can place as many implant posts as necessary in one dental appointment. For more information about implant dentistry in Dracut, contact our dental office today for your consultation. We look forward to helping you enjoy a new smile with dental implants!